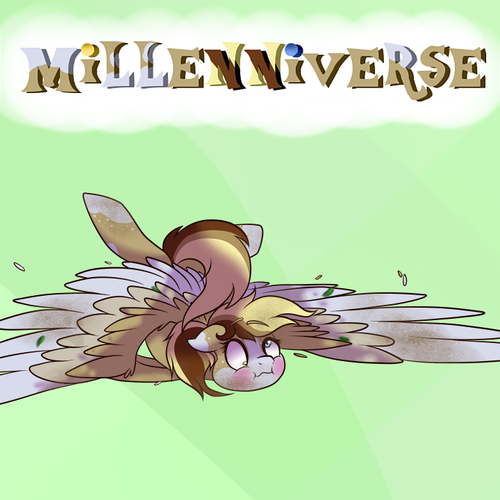 An audiodrama based on my My Little Pony character Millennia, and her adventures around Equestria and the rest of the universe! Millennia is the half-timepony daughter of Ponyville's favourite mailmare, Derpy Hooves, and the quirky timelord, the Doctor. 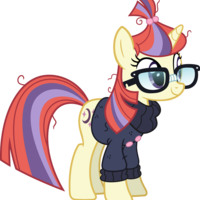 After bumping into her once in the Crystal Empire, and once again in Twilight Sparkle's castle, Millennia takes Early Bird, an anti-social unicorn, around the universe whenever the Doctor lends her the TARDIS! The series might have a few episodes (more if it's successful and people like it) that will be around 10-15 minutes long (?) There will only be a few drawings per scene, just enough to have some visuals, but will mostly be based around audio. New Roles may open up as I write the script for the first episode! PLEASE AUDITION HERE! DO NOT AUDITION HERE OR HERE. Daughter of Vinyl Scratch and Octavia Melody. (Vinyl is mute in this AU) Electro and her brother got their mother's English accent (since she's the only one that talks at home,) but can easily pull off an American one if they want. She has some anger issues, but has a great sense of humour and could easily become a comedian. She's a music producer like her parents. (sassy) Haven’t seen you in a while Miss. Canary. (teasing) Yeah, yeah. You're going to go running after your one true love! (bragging) You snooze, you lose! As close to the canon voice as possible, thank you! (welcoming) How was the train ride? (reassuring) Maybe Early Bird just needs some time and space too. Need a backup(s) for Moondancer. (angry) What do you want? I'm trying to study! (excited) Ooh! A brief history of the wagon-harness! (confused) Huh? (excited)The Life and Times of Merari the Maneless! 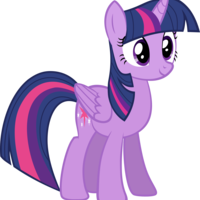 (appreciative) Thank you Twilight! I never realised how much I needed to hear that! Use any male voice you want. Could be used for crowds, random pony exclaiming something, or maybe a new character down the line! Use any female voice you want. Could be used for crowds, random pony exclaiming something, or maybe a new character down the line!